So a big puzzle in astrobiology is where exactly we might find life and what form it may take. Most scientists regard life as having a few prerequisites to exist in the first place; notably water, oxygen, carbon, a temperature between 0-50°C… It’s a fair assumption to make, given that we only really have the Earth as an example. But with a sample size of one, we’re really in no place to be drawing up hard and fast rules. We really don’t know what conditions life could thrive in. We don’t even know for certain what life might be made of. So here are my top 10 most unusual life forms. Extremophiles, or living things that are just plain unusual. Obviously, all of these things exist on Earth. If life like this can exist on Earth, it can exist elsewhere. If similar things can exist, then by probability alone, it’s no leap of faith to say that they probably will exist somewhere. The only question we need to ask is where. D. Radiodurans holds a place in the Guinness Book of Records as the “World’s toughest bacterium”. It can grow up to 3.5µm big, and likes to stick together in little groups of 4 (called tetrads). Radiodurans can survive a dose of 5000 Grays of radiation (10 Grays can kill a human being). Some of these guys can survive brief exposure to up to 15000 Grays. Now that’s impressive. On top of that, it can survive extreme cold, dehydration, exposure to vacuum and acidic environments. 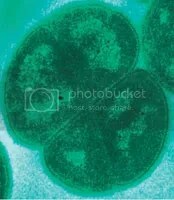 That makes it a polyextremophile with such resilience that some have even conjectured that it could’ve come from space! If any catastrophic event were to destroy most of planet Earth, these hardy little microbes would probably survive. Some scientists have even considered using the DNA in Radiodurans as a way of storing information that would survive a nuclear catastrophe. These delightfully named bacterial colonies really do look exactly as you’d expect. To look at, they appear to be stalactites made of mucus. Lovely. They’re actually acidophile bacteria which live off volcanic sulfur compounds in the warm, wet mexican caves where they live. I’m just guessing here, but chances are fair that they actually metabolise that sulfur into sulfuric acid (chemosynthesis). As a result, they live in the kind of acidic conditions that would kill most other life forms. Bizarrely, they aren’t isolated to those mexican caves either. They’ve also been found in drained mines in Wales, of all places. Strain 121 is a hyperthermophile. It lives in places with excessive temperatures. In fact, it’s able to survive and reproduce at up to 121°C. They can survive temperatures of up to 130°C, resuming life as usual when the temperature drops back down again. Nothing else (that we know of) can survive these temperatures. Before Strain 121 was discovered, it was believed that 15 minutes in an autoclave oven at 121°C (standard procedure for sterilising medical equipment) would kill all living organisms. These are the first organisms ever discovered that live completely independently of the Sun! Discovered almost 4km deep, down a South African gold mine, they glean all of their energy from radioactive metals (like uranium) in the rocks. They use this energy to reduce sulfate molecules into hydrogen sulfide. Effectively, “radiosynthesis” instead of “photosynthesis”! Researchers found that it’s quite likely these bacteria have been living independently of Earth’s surface for 20 million years. It really makes you wonder what other niches on this planet have been colonised by life — without us even realising it yet. Thriving in the sub-freezing waters of the Arctic Ocean, Colwellia is a psychrophile. It thrives in freezing cold conditions. It can survive completely encased in tiny bubbles of saline water trapped within the ice. Temperatures of -20°C are fairly normal for these things. Amazingly though, some studies have shown that these microbes can survive temperatures as low as liquid nitrogen (-163°C). Not just survive, but continue to metabolise! Things run very very slowly at these temperatures, of course, but seemingly they do keep going. 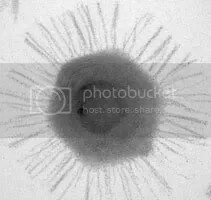 Mimivirus (full name, Acanthamoeba polyphaga mimivirus), unlike the other microbes mentioned so far, isn’t a hardy survivor. Actually it lives in conditions not unlike those you or I would enjoy. What’s amazing about mimivirus is that while, as it’s name would imply, it’s a virus, it’s actually bigger and more complex than some types of bacteria. While it still acts very much like a virus, in that it’s an obligate parasite, it has a large genome (around 1.2 million base pairs) and it posesses genes not normally found in viruses (such as genes for lipid and amino acid metabolism). It even contains genes that some bacteria lack. In fact, when it was first discovered, it was mistaken for a new form of bacteria! Some have started wondering if mimivirus is our first hint at an entirely different form of life — non-cellular life. It could represent an entirely distinct domain of life (alongside bacteria, archaea and eukarya), possibly having evolved before cellular life took hold. A few theories (such as Serial Endosymbiotic Theory and Viral Eukaryogenesis) postulate what role viruses may have played in the evolution of complex life itself. Regardless of one’s opinions on such theories, the fact remains that such “acellular” life may exist in more complex forms off this planet. So far, I’ve been concentrating on microscopic organisms. It would be easy to assume that more complex forms of life prefer more typically “Earth-like” conditions. That assumption, it seems, is far from the truth! A number of “ice worms” live in glacial ice, hiding from sunlight and doing their best to stay cold as they feed on algae and plankton trapped within the ice. These creatures cannot actually survive high temperatures. They start to die a few degrees above 0°C. Around 5°C, their tissues actually liquify — they melt. 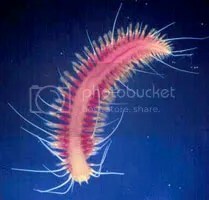 As if that wasn’t enough, hesiocaeca methanicola (the methane ice worm) actually lives on the ocean floor in an ecosystem based around methane clathyrate ice (that’s water ice containing trapped molecules of methane). 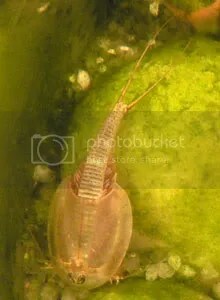 The triops is an interesting little animal. With a number of species found on every continent except antarctica, these creatures are specially adapted to survive long periods of drought. Their eggs need to be dried out before they’ll hatch — entering a kind of suspended animation (known as diapause). They can lie dormant for over 50 years, withstanding drying out completely, extremes of temperature and even vacuum. On contact with water (in the wild, during rainy seasons), they hatch out and quickly colonise whatever puddle they might find themselves in — growing to their full size of several centimetres in just a couple of weeks. This tactic has worked pretty well for the little creatures. They’re a good contender for the oldest living species on Earth, having been seen virtually unchanged in fossil records dating back 220 million years! Incidentally, you can often buy triops eggs with little aquaria. They’re often sold to kids for school science projects, just like their close relatives the brine shrimp (sea monkeys). Actually, I used to keep some myself – this picture is of a former pet of mine! Hydras are a tiny pond-dwelling creature. Again, you find them in freshwater pools across the planet, where they catch other tiny water creatures with their tentacles. Related to jellyfish, hydras are biologically immortal. Yes, that’s right. They have the ability to regenerate any lost appendages and they don’t actually age. All their cells divide continually, diluting toxins and defects, meaning that if nothing kills a hydra (such as predators or bad conditions) they simply won’t die. Ever. 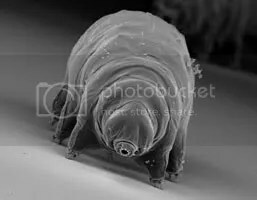 Tardigrades are, quite simply, the hardiest multicellular animals in the world. They can survive 1000 times as much radioactivity as most other creatures, live for a decade without water, briefly survive temperatures lower than liquid nitrogen and hotter than boiling water. A recent experiment actually involved exposing them to open space — hard vacuum, raw unfiltered sunlight, extreme heat and radiation all at the same time. Some of them survived even this. Practically indestructible. 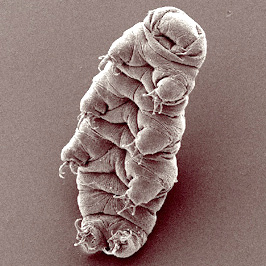 Tardigrades, once again, live practically everywhere on Earth. This entry was posted in astrobiology, Imported from Livejournal and tagged biology, top 10 lists. Bookmark the permalink.